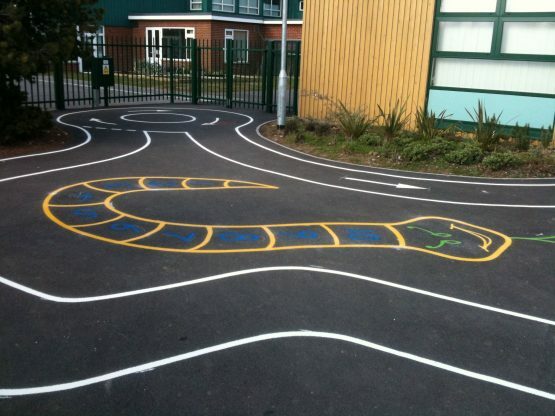 Transforming the small playground area – a mini roadway was marked, teaching the children basic road safety plus a numbered snake and snail to encourage learning whilst still having fun. 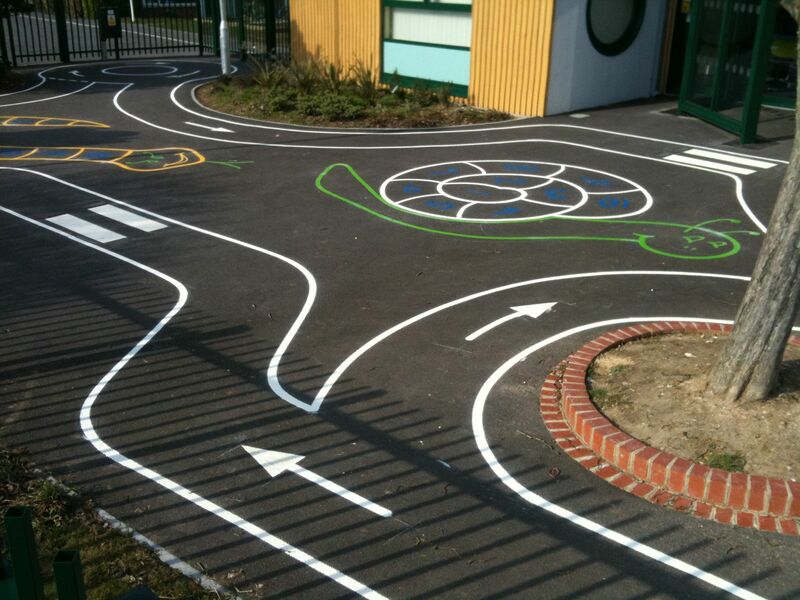 The area was quite small but we still managed to create a striking and effective space to play for the children. We can work with any playground size.